Easter eggs border graphics from our collection of free Easter Clip Art. Pastel colored Easter eggs clip art borders (horizontal). Mini eggs divider graphics - use multiple copies to make longer borders like the sample below, made with 6 copies of the small egg border clip art image. 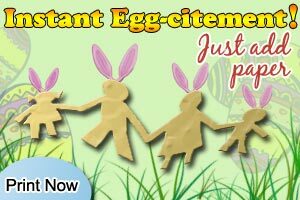 Or, combine these decorated eggs borders with other Easter clip art to create your own designs.